A study by Mind, a charity dedicated to empowering and promoting an understanding of mental health, said that, statistically, 1 in 6 workers are dealing with a mental health in the workplace issue, such as anxiety, depression or stress. Another study by Consultancy.uk revealed the main causes of these mental health problems stems from a lack of job security, fatigue and financial issues. With this in mind, it is important that we address these issues and provide help to those in need. So, what can companies do to offer support to employees in terms of mental health in the workplace? Here we’ll give you a rundown of the key steps to take to ensure employees have the support they need to put them on the road to recovery. Often, employees feel as if they cannot communicate their problems with mental well-being. One of the biggest factors is the stigma surrounding mental health. More often that not, employees feel as if they cannot tell anybody through fear of it being detrimental to their career. And with 34% of workers anxious, depressed or stressed about financial issues, it is understandable why people would never want to put their income at risk. As an employer, it is important, right from the get-go, to rigorously promote and instill a culture of open discourse about typically ‘taboo’ topics. It is important to reassure your employees that discussing mental health in the workplace will lead to help and support and not discrimination. With a sense of trust rooted into the company between people, problems and issues, employees can freely put together a plan of action to mitigate a negative spiral down a more severe path. We understand this one is difficult as it’s hard not to come across as invasive and you do not want to encroach too much on your employee’s bubble. But, it is crucial to look at the visual cues of mental health. Often if an employee is suffering with anxiety or depression, they may exhibit qualities such as low mood, trouble focusing, fatigue, frequently tearful and overwhelmed and displaying uncharacteristic behaviours i.e. unusually angry or upset. When you notice any of these new traits in a colleague, sympathetically raise it with them and don’t let the problem get worse. With regards to how you should do it, remember to be open and friendly. Discuss it as a concern for their well being and not a concern that’s becoming detrimental to their role or company profits. Allow them to discuss their needs first. It is important not to be too prescriptive with advice and direction as they may already know what they need. Having identified a problem and established the individual’s personal needs for recovery, it is important you assist them with that recovery. Similar to maternity leave, it is needed sometimes in cases where the factors that stop you doing your job are more permanent and seemingly unavoidable. Allow them that time and reassure them that their mental health comes first and to take the time that they need. During a fragile time like this, they do not need the worries of job security and financial burden over their head while they try to get their lives back on track. Sometimes the actions can be simple workplace adjustments and do not need to be immediately take up with health and therapist services. A study by Each Person, found that in the UK ‘a simple ‘thank you’ can make a huge difference to an employee’s morale. We recommend giving the full article a read. With regards to mental health in the workplace this is the pivotal point when giving support to an employee. For an employee, returning to work after a long period of time is difficult. For a person suffering with mental health issues, it is so much harder as they are returning to a place that has contributed extra stress to their life. It is important that prior needs are discussed and returning conditions are met. This is necessary to improve transition back into working life and make it as easy as possible. This ideally should be discussed in an open discourse and all ideas should be considered. This is important to make them feel valued, as if the company is working around them to stay. Ensure that after the employee(s) in question are settled back into a routine, things don’t revert back to the way things were before. Reassure them that if they feel like that again, they are more than welcome to talk and show them that they can simply handle everything as a team. Ensure that aftercare measures are put into place, if you have them already, don’t stop them. Let it be an example to other employees and let it demonstrate team unity. Inspiration can go along way for helping a person going through times of hardship. If the quality and consistency of your support is diminished because of your own mental health issues, seek help yourself. You employees are more than likely to rally behind you. Mental health in the workplace is an issue that is not taboo or wrong , but it does require an element of care. It is a worry among many managers that they do not possess the necessary skill set to tackle issues like this head on. This is not the case. Often, showing empathy and a willingness to learn, care and understand is mostly all that you need. If you feel like you cannot handle the situation, make every effort to put them in touch with people that can. 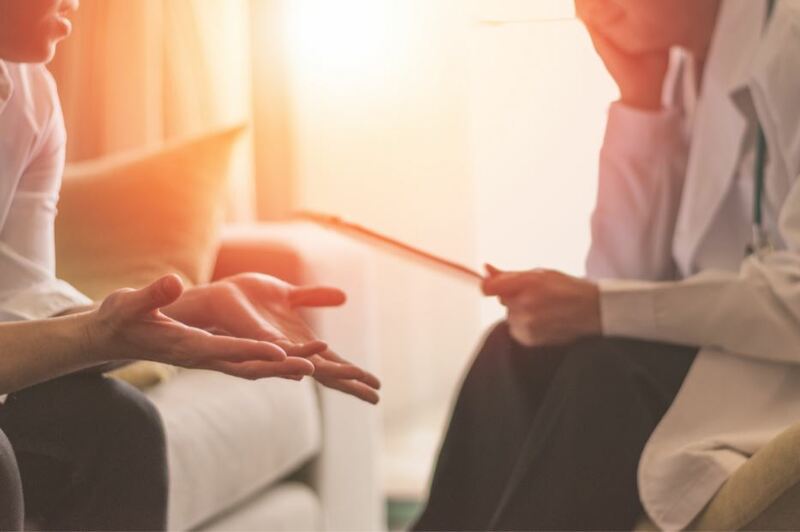 In the UK, mental health in the workplace is something that should be spoken about more openly and factored into employee support schemes as standard. Eradicating the fear of conditions impacting on your job and your finances is needed in order to help our workforce and ourselves.